1. How Miscavige took over RTC and subverted its purpose into protecting him personally and safeguarding his extravagant lifestyle. 2. How staff are obsessively guarded, watched, interrogated, imprisoned and harassed, at Miscavige’s orders, to prevent them from ever leaving and speaking out about what they have witnessed. 3. 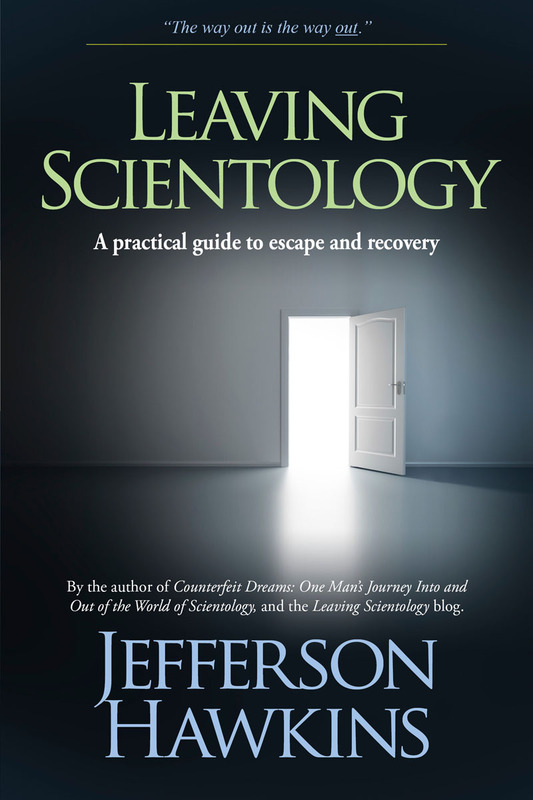 How Miscavige goofed off, drank liquor, enjoyed a six-figure salary, had lavish quarters built for himself, awarded himself expensive boats and cars, employed a personal chef, a personal steward, a personal house keeper, a professional hair dresser and a professional chiropractor, and jet-setted to Tom Cruise’s mansion or Colorado ranch, all while forcing all other Sea Org staff to work around the clock with little or no sleep, under brutal conditions, for under $50 a week. 4. 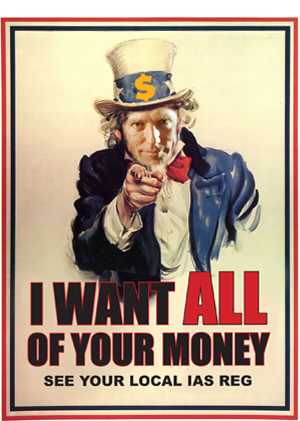 How Miscavige has turned the Church into his personal money making machine, dedicated to hiding his crimes and protecting his personal power base. These are things that every Scientologist should know about what has happened to their Church. You know something is wrong with the Church. Isn’t it time you found out what’s really going on? I also encourage more mail from all those that blew from Kirby apartments and Vista Garden Apartments, Gold BASE and so on. Seems like the multiple viewpoint evidence is piling up higher and higher against DM. I would think that a competent, highly-driven legal team would jump at the opportunity to take on the church, once they knew they had a slam dunk. And what, I ask, constitutes a slam dunk? I would guess that tax fraud is the easiest thing to produce evidence on. Sort of like the case with Al Capone. He murdered and embezzled but, in the end, they nailed him on tax evasion. I was a public most of my 26 years in Scientology, I guess between the 2 1/2 years on staff, my auditor training, internship, to Level E on the BC, then up to OT V, maybe I put in about a total of 6 years part time in Scientology. I told all the acceptable lies to the poor call- in people because I did not want to go events or come in the orgs for briefings because I knew they were only reg cycles. I really had no idea who Marty , Mike was or anyone else on these sites. After getting on to Jeff’s site a few months ago, I started researching and heard a lot of ex-so telling their stories. Mike and Marty’s name came up a lot and not in a good way. The known perversion of the tech to harm others was unacceptable to me under any circumstances so I never went to Marty’s site until Jeff’s had a link to his site regarding Karen and now his declaration. After reading Marty’s declaration, I now have a total different view of Marty. I have respect for his standing up and telling the truth to help his fellow comrade’s, the one’s still in and the one’s that are out. I admire his staying true to his own Code of Honor and I can see he is working hard to right the wrongs that have been done and that are still being done. I applaud him. Karen #1: Thank you for taking a stand and your post above offering you help. You too have Honor and a great help flow. Idle Org: You are correct, something is going to give. I would like to see the DA get involve and put a freeze on DM personal accounts, the IAS accounts (cutting their attorney flow) and an investigation done on the fraud involved on the money lines. That is the best way to handle this… Audit the books. Once DM losses his credibility with the law, then the other crimes are easy. I am sure something is in the works. According to numerous internet reports, there is no real justice system employed at the infamous Gold Base. It is whatever Miscavige says. No Court of Ethics, no Comm Ev, no justice P/Ls …….immediate RPF, immediate SP hole, Immediate banishment to work on MEST for years at a time, immediate shipment to a far location, it is a spontaneous DM as the Judge and Jury with no LRH Ethics P/Ls employed. Is this the way it was when you were there ? This method of “Do as I say” apparently trickles down to lower Orgs if “RTC” says so. You were up there for a while according to “Counterfeit Dreams” and I would like your thoughts. Also, as regards finance, it appears that DM can sign any check, give out any sum of money for anything at all, and that he completely controls all finance. Was there any LRH application of Ad Council and Financial Planning when you were there ? Here is the declaration from Robert Levine, who is a professor of psychology at California State University with particular qualifications on the subject of persuasion and mind control. He explains very well the methods of mind control and social control that are in effect at Gold Base, which make it so hard for members to leave. Thanks – yes, Levine’s declaration is another must-read. The most common questions asked Ex-Base Staff are things like “why didn’t you leave?” and “why didn’t you call the police?” I tried to address these questions in Counterfeit Dreams. Levine’s declaration provides an outside view on the control mechanisms used.